So you’ve hit all the must-see sites of New York—the Empire State Building, Statue of Liberty, Rockefeller Center, and Central Park. But what’s next? Don’t worry, we’ve got you covered. Use this handy guide to navigate five truly one-of-a-kind things to do in the city that never sleeps. Authentic speakeasies are hard to come by. The Back Room, located in New York City’s Lower East Side, is rumored to be one of the two Prohibition-era speakeasies still operating in the United States. The bar itself is quite large, located below the Lower East Side Toy Company, which is visible from Norfolk Street. After heading in, descend the staircase and make your way through a short alley, where you’ll find the speakeasy entrance. If you can charm the doorman (make sure you’re dressed to the nines!) he’ll lead you in to reveal velvet furniture, a mahogany bar, gilded architecture, and other whimsical home decor redolent of the 1920s. Their drinks are equally as unique; cocktails are served in teacups and bottled beers are wrapped in paper bags. You can find more details on the speakeasy, including hours and special events, here. 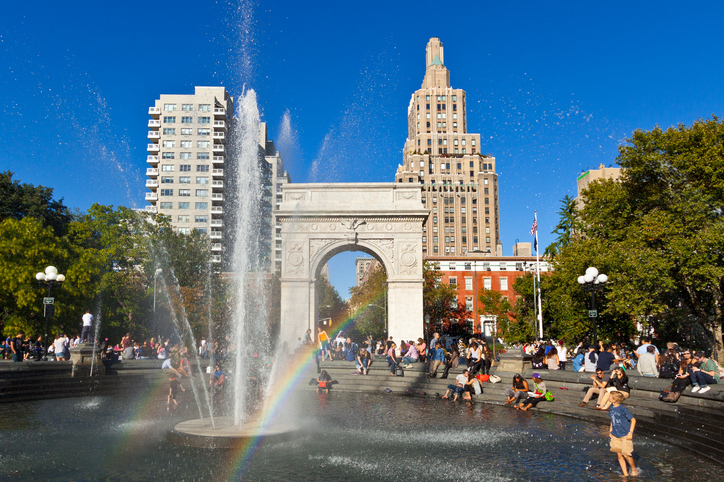 Home to the notable Washington Square Arch and lively water fountain, Greenwich Village’s Washington Square Park remains one of New York’s most renowned landmarks. At the end of World War II, folksingers began congregating on Sunday afternoons at the fountain in the center of the park to share their music. Following in their footsteps, artists and musicians still gather in the park today, marking it an epicenter of cultural nonconformity. Within its 9.75 acres you can mosey among trees and gardens, play chess and scrabble on original concrete boards, or sit to read a book at the steps of the fountain. For more information and seasonal events, be sure to visit their website here. 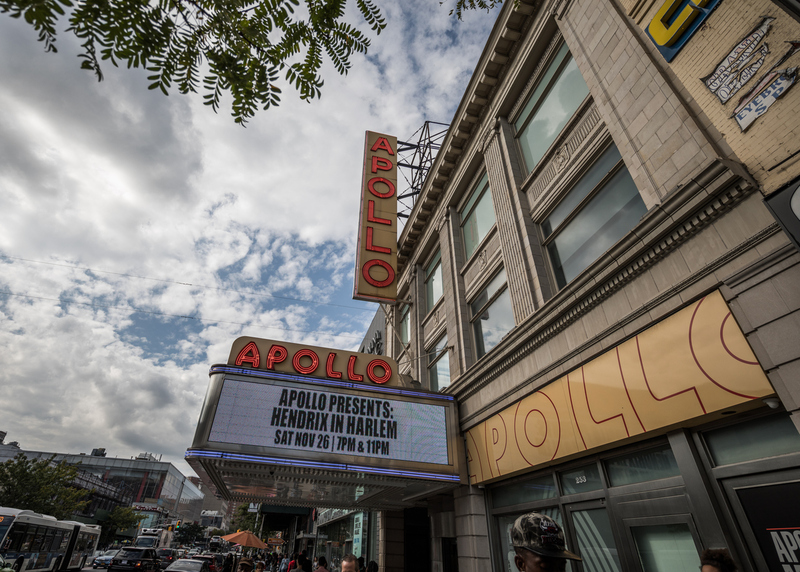 The world-famous Apollo Theater of Harlem is a must-see spot to mark off your New York bucket list. Originally a burlesque theater built in 1914, it later opened its doors as a musical theater in 1934. During the swing era, the Apollo hosted renowned performers such as Duke Ellington, Dizzy Gillespie, and Count Basie, along with dance acts by Bill Robinson, the Nicholas Brothers, and Carmen De Lavallade. The theater is also known to be the stage where countless performers began their career such as James Brown, Diana Ross & The Supremes, the Jackson 5, Mariah Carey, Lauryn Hill, Dave Chappelle, and more. Today, the theater still honors the influence and contributions of African-American artists, and hosts both emerging and established voices. For show times, admission prices, tours, and more, visit their website here. Opened in 1976 alongside the Queensboro Bridge, the Roosevelt Island Tramway was the first commuter aerial tramway built in North America. Its two red cabins suspend from sturdy cables over the East River, dropping passengers off at Roosevelt Island. Each cabin has a capacity of up to 125 people and makes approximately 115 trips per day, so there’s always space and plenty of time to take a ride. It moves at about 16 miles-per hour, and takes just three minutes to reach the island. 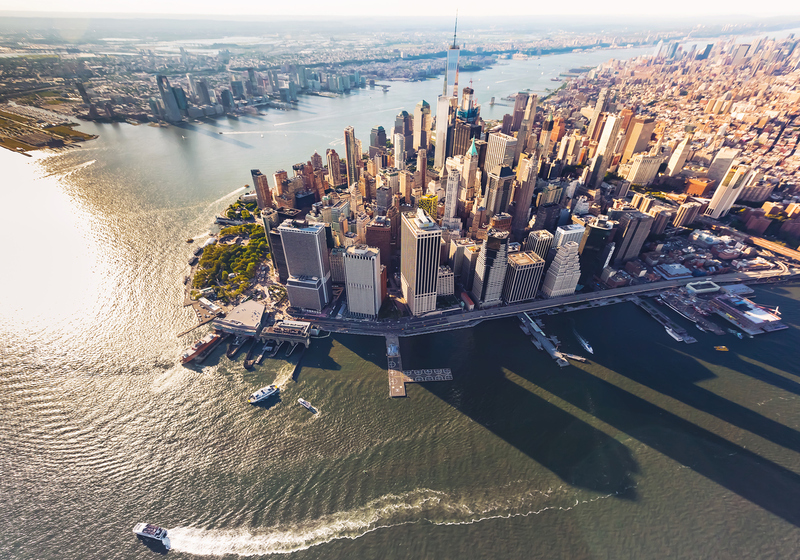 Once you hit the peak at 250 feet, soak in the spectacular view of the skyline, the East River, and Second Avenue. For hours and metrocard prices, visit the tram transportation site here. Opening in 1985, The Green Flea Market, located on the Upper East Side, takes reign as the oldest flea market in all of New York City. A variety of vendors set up shop, offering food, antiques, artisan-crafted goods, collectibles, and more. Committed to giving back, a portion of the market’s proceeds are donated to four public schools to provide enrichment opportunities for students. Since its conception, the market has provided the schools with an impressive seven-million dollars (and counting!). 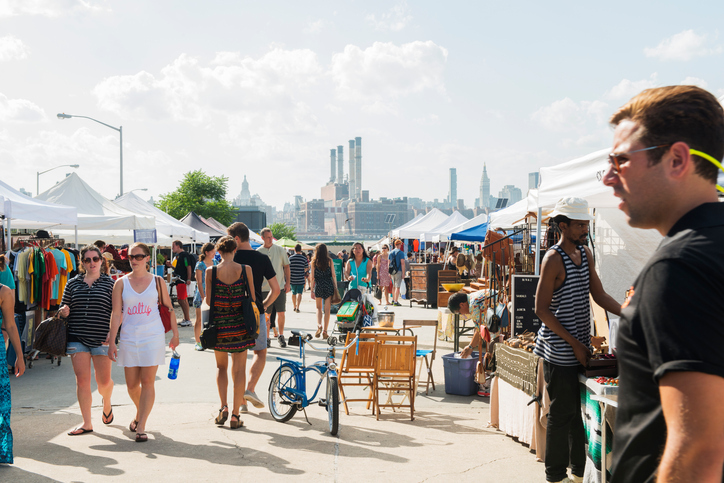 The market is open year-round on Sundays from 10am to 5:30pm. Click here for additional information.